Volcanic eruptions from thousands of miles away may cause rapid melting of ice sheets, according to a new study. Volcanic eruptions have been known to cool the global climate, but the findings suggest that they can also speed up the melting of ice sheets. Researchers from Columbia University studied ice sheets that covered much of northern Europe at the end of the last ice age, around 12,000 to 13,000 years ago. They analyzed ice cores and meltwater deposits called glacial varves, most of which had been collected in the 1980s and 1990s. Varves are the layered sediments that form when meltwater below an ice sheet routes large amounts of debris into lakes near the sheet’s edge. The layers of a glacial varve indicate each year’s conditions, similar to a tree’s growth rings. A thicker layer indicates more melting, since there would have been a higher volume of water to carry the sediment. Lead study author Dr Francesco Muschitiello and his colleagues studied a period ranging from 13,200 to 12,000 years ago, when the last ice age was transitioning into today’s warm climate. They tested layers of sediment for sulfates or salts of sulfuric acid, which are abundant in volcanic ash. The results revealed which years experienced explosive volcanic eruptions by the amount of ash debris in the varves. The research team found out that years with explosive volcanic activity corresponded to thicker varve layers, after matching up the ice layers with varve layers from the same time periods. This indicates more melting of the northern European ice sheet. The team also looked at the Greenland ice sheet, whose layers contain a record of ancient atmospheric conditions, and compared the varves to the ice cores. The study suggests that ancient volcanic eruptions caused immediate and significant melting of ancient ice sheets. 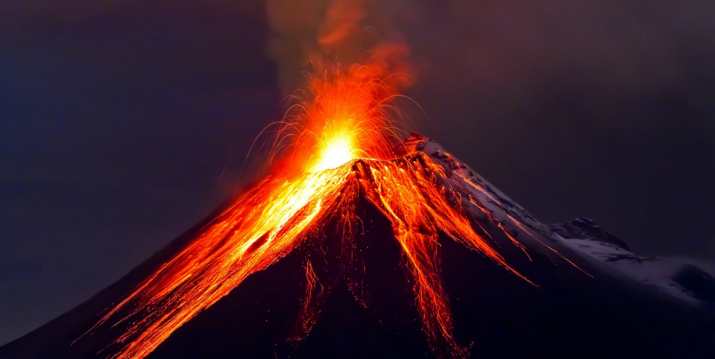 According to Dr Muschitiello: “Over a time span of 1,000 years, we found that volcanic eruptions generally correspond with enhanced ice sheet melting within a year or so.” This suggests the probability of volcanic eruptions rapidly melting modern ice sheets. The elevation of the ice sheet. The model also predicted that ash deposition would remove between 20 centimeters and almost one meter of ice from the highest parts of the ice sheet. Dr. Muschitiello, however, cautioned that the model results should be “taken with a pinch of salt” due to uncertainties about past conditions. Despite this, he is confident that the ice sheet’s real response lies somewhere within that range. Read more news like this at GeoEngineering.news.